I am thankful. I am overwhelmed. I am amazed. Frankly, words fail to describe exactly how I feel about the generosity of this community. This was the first time in history that our organization, Human Support Services, made this kind of ask of our community, our staff and our leadership. I don’t think I’m overstating when I say you all set the bar pretty darn high! While the evening itself was over in just five glorious hours, the months and days leading up to an event like this are filled with hours upon hours of hard work and at times, frazzled chaos. It is in those days and hours that I saw the true heart of the people who make HSS a success every single day. Countless members of our staff sent letters, made phone calls and collected donations to help make the Gala possible. All of this was done in addition to their already full workloads. I heard so many positive comments in the room that evening about the number of donations we received, the way our staff volunteered and came together, the delicious food, and even the schedule of the evening and the fact that the program ran on time. None of that would have been possible without the dedication of our HSS family. From the beginning, we’ve had the support and commitment of our HSS Board of Directors and the Gala Council. These two groups took time from their own hectic schedules to attend meetings, seek donations and help turn what once was just an idea into a beautiful reality. And a truly beautiful evening it was. Gala guests loved that our event was “black-tie” optional, which meant they had a chance to wear their fanciest floor-length gowns and three-piece suits or tuxedos. The Falls Reception and Conference Center provided the perfect backdrop for lots of gorgeous pictures with friends and family. A poignant video from Spot Media reminded all of us why we were in the room – to support the work of HSS and learn more about what our agency provides to the people of Monroe County and beyond. Guests at the Gala were the first to see our new HSS new mission and vision statements, as well as our new agency logo. This new mission – “Helping all people live their best lives” – will carry us forward in all the work we do. Whether you made a donation, attended the Gala or volunteered your time, YOU are helping us achieve that mission. These words of thanks don’t just come from me – they come from all of the clients and staff who make up the HSS family. Your support of the Gala and HSS means you believe in them – in their work, their lives and their futures. 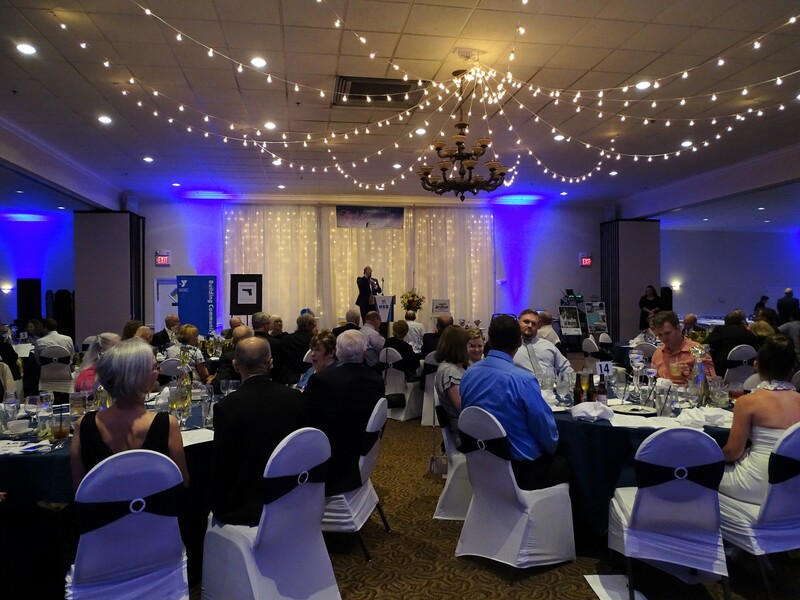 Our next Shine Your Light Gala will be held May 31, 2019 at The Falls. Hope to see you all there again and hope to see many new faces next year.